Between Miss H’s gymnastics class, a baby shower, a birthday party, our monthly ‘date night,’ a trip to the farmer’s market, a visit from Grandmom, another party and just the other usual weekend activities- we were all worn out by Sunday evening. 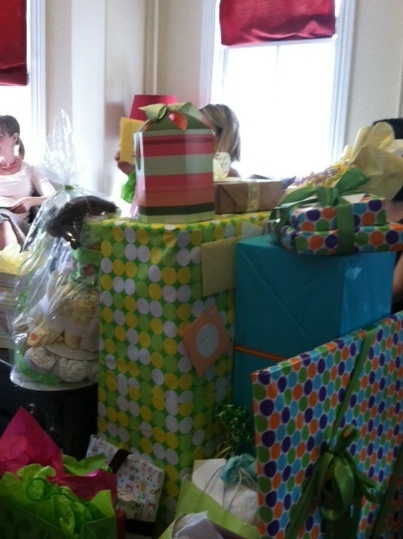 While I was heading home from the baby shower, Miss H and Kerry were heading to our neighbor’s first birthday. 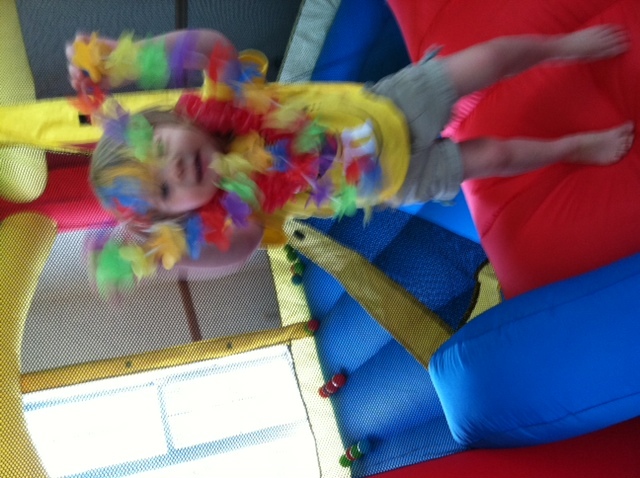 Miss H was so excited for the ‘bounce bounce house’ and the yummy food. 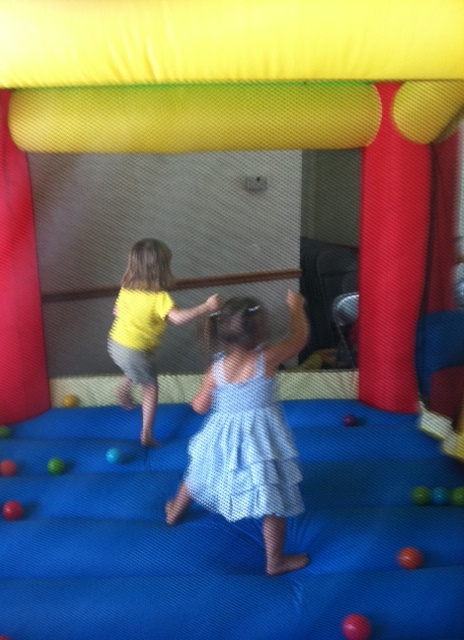 All the kids were great and it was fun to celebrate the big birthday. Miss H was really easy on her babysitter Saturday night and we enjoyed dinner, a movie and ice cream. When we got home, we heard about how Miss H was very entertaining with baking cookies, playing with Play Dough and coloring. We were happy that she got her to go to bed with no problems and looking forward to having her back soon! Miss H thought she was coming back on Sunday so it must have been fun. 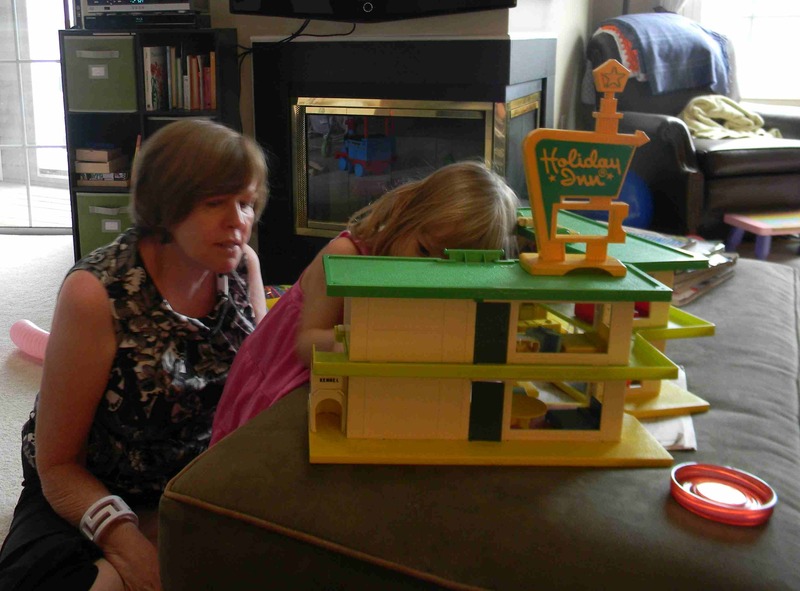 Mom came to visit on Sunday and was quickly drawn into playing with the Holiday Inn. This toy relic was mine when I was Miss H’s age so yes, it is more than an antique. Mom has not only held onto the motel but the people, cars, luggage, beds, dining room tables, chairs and the dog. There is a revolving door, a front desk, and a buffet table too! 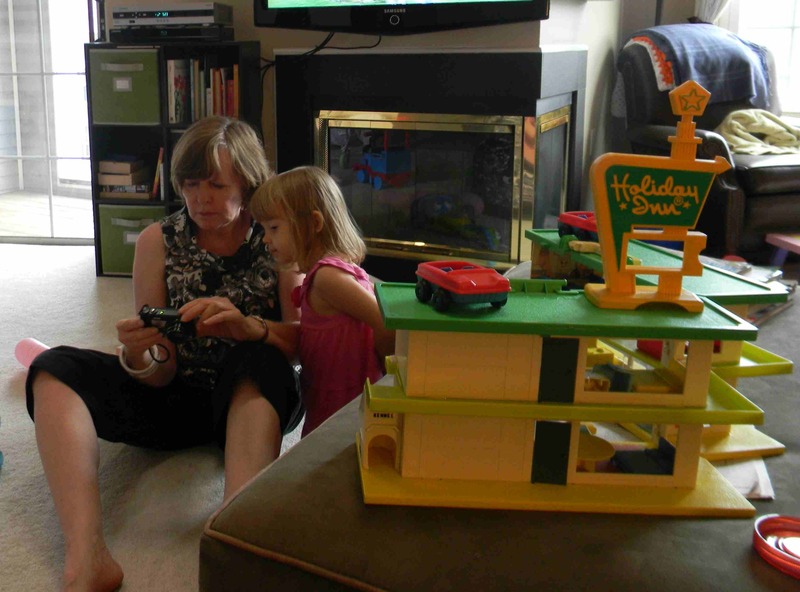 Mom was trying to get some pictures of Miss H playing with the motel but Miss H just wanted to see the screen on the back of the camera. ‘I want to see me!’ I guess she knows all the pictures are of her. Mom and I headed out for a while and Miss H and Kerry caught up on golf and things around the house. 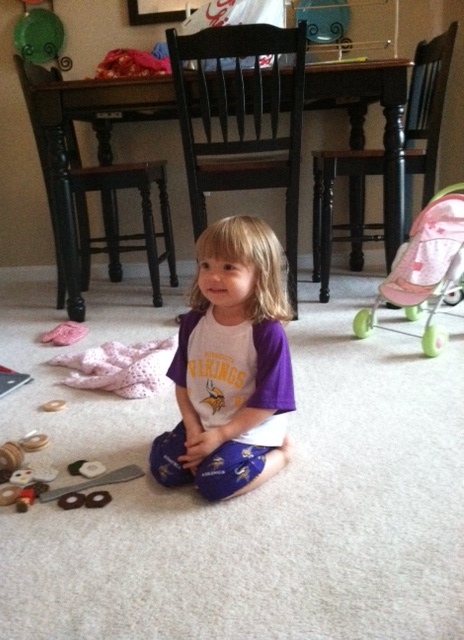 Plus, Miss H got prepared for football season. Miss H can now enthusiastically cheer on with ‘Go Vikings!’ and ‘TENNESSEE!” We need to work on some other teams but Kerry is very happy with her support of his teams. Yay! 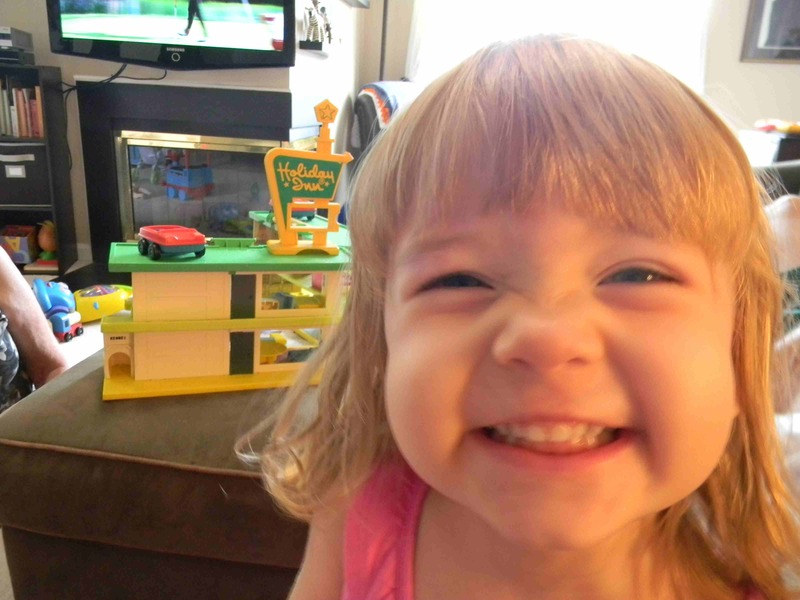 So excited about the jogger! thank you so much.